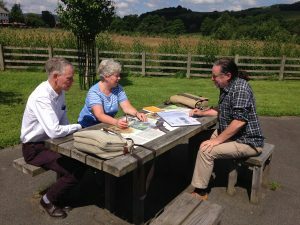 Adrian Pickles, Cathy Preston and Steve Jones at Llanfyllin Wetlands. 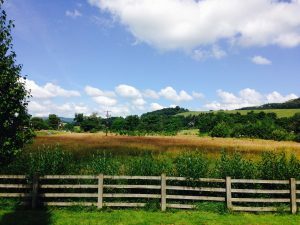 We have just returned from a great meeting at the Wetlands in Llanfyllin with Cathy Preston of the Field Studies Council’s Growing Confidence Project and Adrian Pickles, Head of the Preston Monford Centre, seeking to build links between our projects. The One School One Planet Programme Proposal. 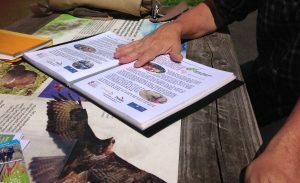 We talked through our work with Llanfyllin High School and our proposed programme for bringing permaculture themes and ecoliteracy into mainstream education. The aim is to bring about a shift in thinking about our collective responsibilities as global citizens facing the challenges of climate change. We think education has a vital role to play in this! We are very hopeful that we will be able to work together to make connections between the goals of the FSC, the One School One Planet project and Llanfyllin High School. We discussed possible field trip days, residential courses for young people with an interest in ecology, opportunities for interdisciplinary study and much more. A view of the Cae Bodfach Community Orchard from the Wetland. Keep your eyes peeled for future developments, and we look forward to more collaborations in the coming weeks and months.